Can you introduce yourself and give us some highlights of your writing career? Hi Alicia 🙂 Thanks for having me! I’m an author of speculative fiction and write for Young Adults, New Adults and Middle Grade. My books always feature main characters of color in supernatural situations. I started writing when was I very young, about eleven. But not seriously until about three years ago. I joined YALlitChat and after posting the first five pages of my work for a whole lot of strangers to see, I meant a lovely lady who invited me to apply for critique group. Since I was serious about getting started with my writing I jumped at the chance to meet like-minded people who might be able to help. Three years later, I’m still a part of the group and have learned so much! And, most importantly, I caught the bug. After some trial and error with traditional publishing, I decided to self-publish the first book in the Witchbound Series–Roots. Originally it was entitled, Elemental. 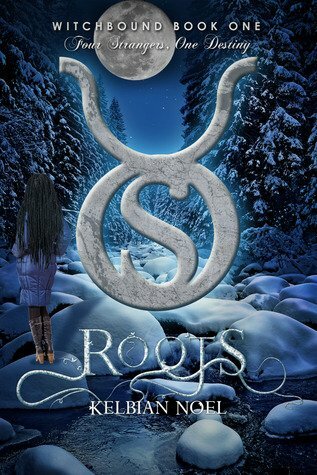 Roots was first released in July 2012, the re-released this past March. The realization that I’m selling books that people like to read is sometimes mind blowing. I’ll definitely be doing this for the rest of my life! I know that you’re currently participating in a Goodreads Giveaway for you latest novel, Sprung, would you share the premise behind the Witch bound series and Sprung? Yes, the Sprung giveaway follows a very successful Roots giveaway! Be sure to enter if you haven’t already 🙂 Sprung is the second book in the Witchbound series. The series follows four girls with very different backgrounds (economic, cultural and familial). Each book features a different girl, and outlines how she discovers her destiny as a powerful witch and how revealing or abusing that secret comes life and death consequences. Roots featured Baltimore, a biracial (African and Native American) and Sprung features Skye, of Scandinavian descent. The series subtitle, Four Strangers, One Destiny, illustrates how four very different people are equally special. The final book will follow all four girls. I am a follower of Diverse-Pages, I always scoop your Friday feature for my Scoop-it page, please let readers know about the mission of Diverse-Pages and it’s history. 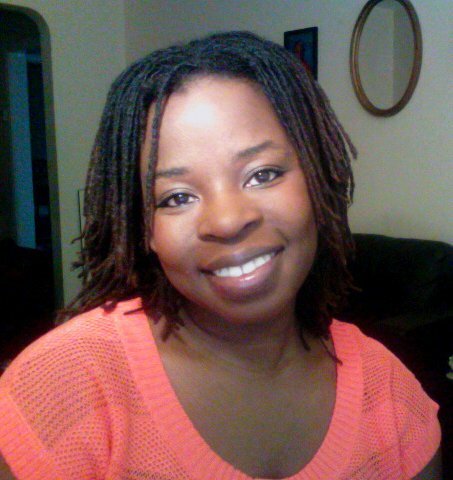 I started Diverse Pages around the same time I decided to self-publish Roots. The lack of main characters of color in speculative fiction is a notorious issue. I thought the best way to reach my core audience was to find networks they were connected to. I’d just submitted an article to AfroPunk on the issue of people of color in fiction and, at the time, realized there weren’t many blogs dedicated to featuring these types of books. I also realized there were tons of authors out there trying to get MCoC books noticed. So I teamed up with one of my critique partners and reached out to a few other authors on Goodreads and Diverse Pages was formed. One of the purposes of Diverse-Pages is to highlight or share protagonists of color in SciFi, Fantasy, and Paranormal, why is this important to celebrate? Because people of color are made of so much more than romance and street drama. Power to the all the authors who have been successful in those genres but there is so much more potential. I’m always in search of a niche and this was it. I’m a big fan of speculative fiction. I love SciFi, Paranormal and Action movies. I hate that there are never any people of color front row center. With the exception of writers like Octavia Butler (who happens to be a favorite of mine) and shows like Heroes, there are almost NEVER people of color featured as protagonists. The books that exist, barely get noticed. That’s why Diverse Pages exists. To put a spotlight on great novels, the industry might otherwise ignore and readers might never find. What’s next? I’d love to hear if you’re working on another book for your series or if you have some news about Diverse-Pages, let us know what you’ve got cooking! Right now I’m working on Smolder, book three of the Witchbound series, which features Calida–a Brooklyn-based orphan who’s just graduated from high school and is out in the world for the first time on her own. I’m also trying my hand at traditional publishing again with a New Adult Contemporary/Urban Fantasy. I hope to start sending out queries for that sometime this summer. Smolder is set to be released late summer/early fall. Thanks again for hosting, Alicia. It’s been a blast! Kelbian Noel is the author of the Witchbound Series and a writer of speculative fiction novels for adults and kids. She lives in Toronto, Ontario with her two children.